Snuggle up with a Titan! No kidding. 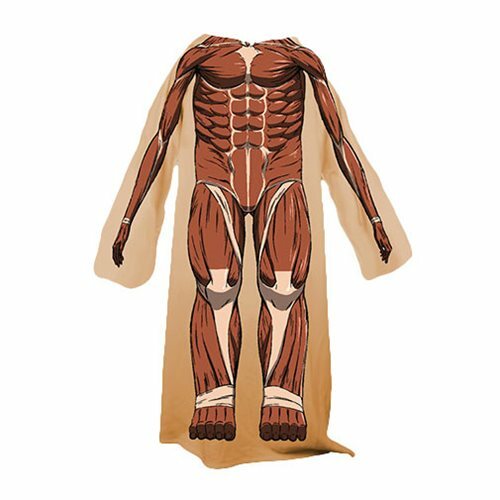 This terrific Attack on Titan Colossus Titan Snuggler Blanket features the ginormous Colossus Titan about to pluck our hero from the wall, but it will keep you warm, too. How about that? Ages 13 and up.